This content also appeared on the Healthy Newborn Network website. “It would have been very painful and harmful if we had lost our firstborn,” Laurence Uwamahoro says as she breastfeeds her newborn son. Laurence lives in Murehe, a rural region of eastern Rwanda, with her husband, Jean d’Amour Nduwimana, and their newborn, Yvan. Jean d’Amour sits next to his wife as she breastfeeds, continually smiling at his son. The story of this new family began two months after Laurence and Jean d’Amour married, when a test confirmed Laurence’s pregnancy. 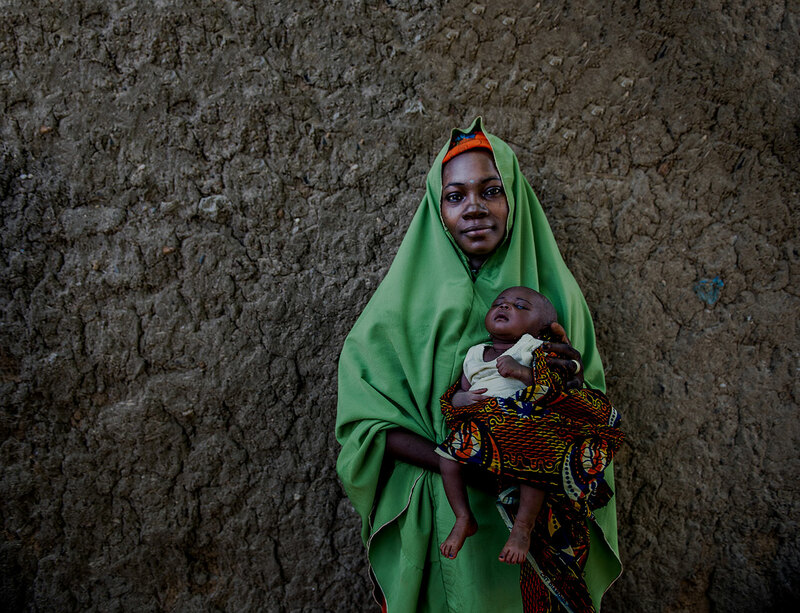 But as the couple began enthusiastically preparing for birth, Laurence felt increasingly ill. She sought care at the nearest health center, but continued to worsen until she was six months pregnant – and felt the symptoms of her labor beginning. “On my way to the hospital, my mind was elsewhere. I was only thinking of funeral ceremonies, because I had no hope that my baby could survive,” Laurence says. By the time she arrived at the health center, her membranes had prematurely ruptured and she was bleeding – signs of placenta abruption. She soon delivered a very premature Yvan. Weighing only 800 grams (1.7 pounds) at birth, he met the World Health Organization’s definition as “extremely low birth weight” (less than two pounds, three ounces). 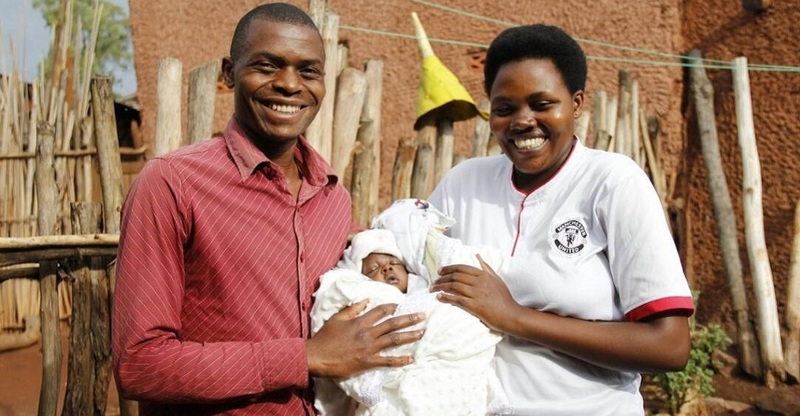 The nurses who helped Laurence deliver immediately transferred both mother and baby to Kibungo Hospital to receive higher-level care only available in the hospital’s neonatal unit. Above: MCSP-trained midwife Christine Mujawimana at Kibungo Hospital. Thankfully, Laurence and Yvan were received at Kibungo Hospital by MCSP-trained nurses and midwives, who confidently continued their care. In collaboration with the Rwanda Ministry of Health, Rwanda Biomedical Center, and national professional associations (including the Rwandan Pediatric Association), MCSP is improving the capacity of the country’s health care providers to manage the acute care needs of babies like Yvan through on-site trainings and clinical mentorship. 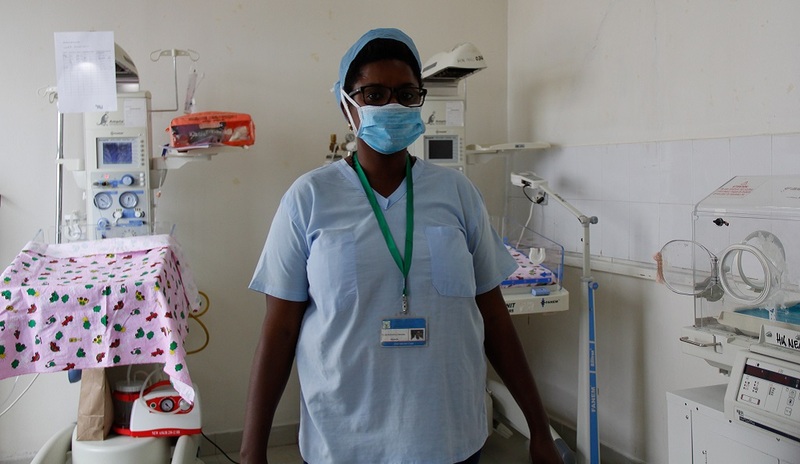 Kibungo Hospital’s neonatal ward staff had benefited from multiple weeks of targeted MCSP training on Basic Emergency Obstetric Care and Essential Newborn Care, after which a mentor had visited each trainee bi-monthly for several months to ensure they were applying their new skills correctly. These efforts are part of MCSP’s overarching capacity building strategy for Rwanda, which uses clinical training to address the leading causes of death for children under five and pregnant women. To date, the Program has trained more than 12,000 doctors, nurses, midwives, lab technicians, and community health workers from 16 districts in areas such as infection control, resuscitation, and newborn treatment protocols. The care Yvan required to survive was extensive, but the trained hospital staff was up to the task. After placing him in an incubator, they began implementing Yvan’s treatment according to national neonatal protocols: administering intravenous fluids, diagnosing and treating an infection with antibiotics, giving him a blood transfusion due to anemia and phototherapy for jaundice, and placing him on a Continuous Positive Airway Pressure machine for respiratory distress syndrome. They also knew to give him expressed breast milk by nasogastric tube. 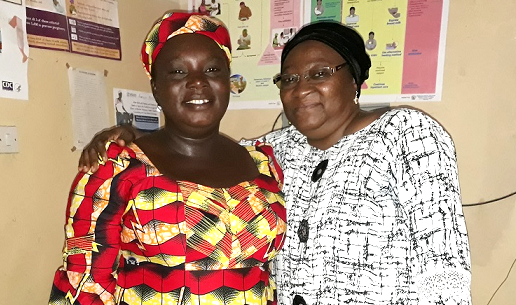 Thanks to their MCSP training, the hospital’s providers learned to use this method for all low birth weight babies who lack a sucking reflex – typically those who weigh less than 1.5 kilograms (3.3 pounds) at birth. Later, when babies acquire a sucking reflex, the providers know to encourage breastfeeding and supplementation with expressed breast milk using a feeding cup (until breastfeeding alone meets a baby’s needs). After stabilizing Yvan, the staff taught Laurence how to hold him in Kangaroo Mother Care. This continuous skin-to-skin contact not only keeps low birth weight babies warm, it also increases their nutrition by promoting frequent and exclusive breastfeeding. Three weeks after he was discharged from the hospital, Yvan’s weight had increased to a stable 3 kilograms (6.6 pounds). Laurence and Jean d’Amour were thrilled! And as their concerns about their son’s weight faded, they finally began to enjoy parenthood as they imagined it when Laurence was first pregnant. “Our baby is healthier now. We thank all the nurses and everybody who played a big role in having our baby survive,” Jean d’Amour says.